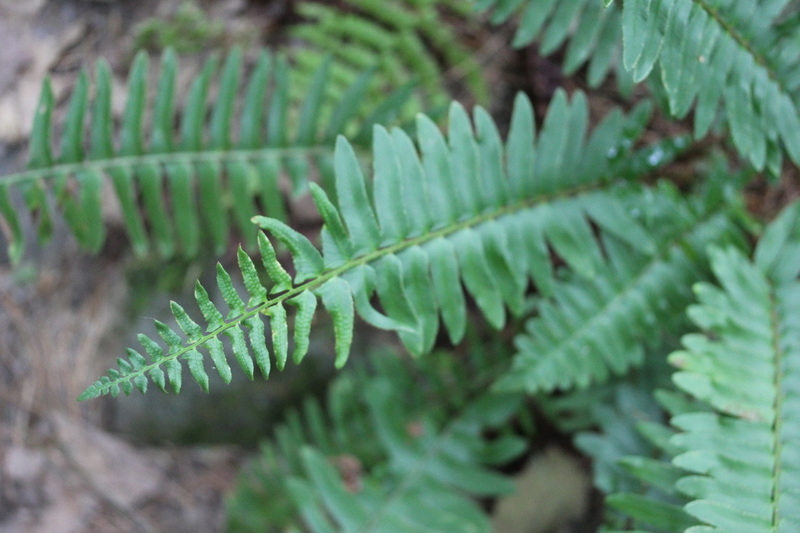 There's a number of Christmas Fern plants near the beginning of the trail at Northeast Penjajawoc (starting from the Kittredge Road kiosk). 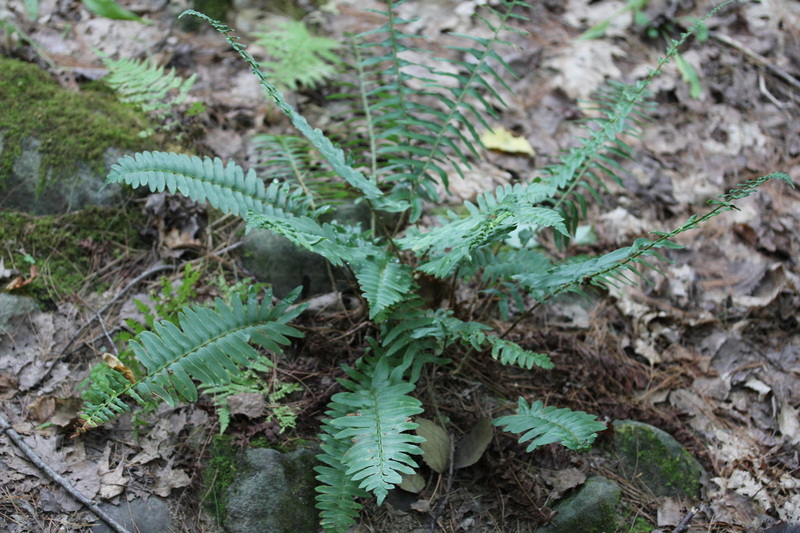 The fronds range from 8 to 24 inches tall. 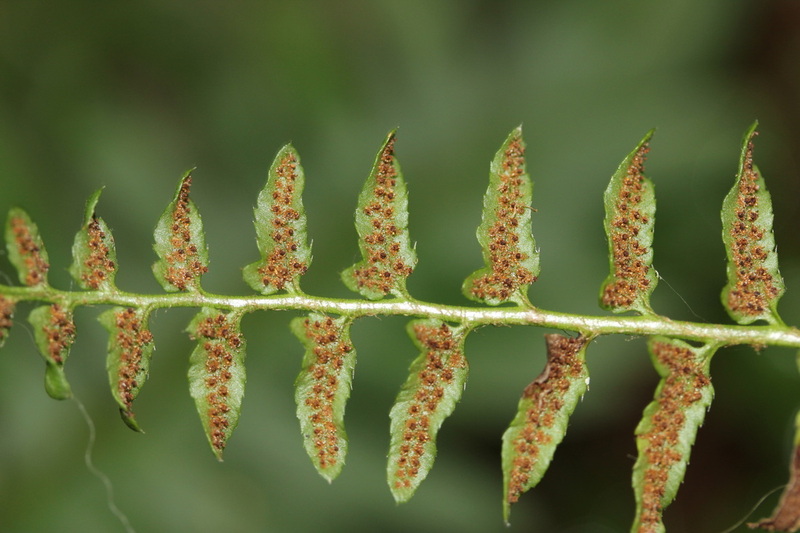 The second photo below shows the difference in the the upper and lower pinnae of Christmas Fern's fertile frond. The upper are narrower and shorter than the lower. The third photo shows the indusia. They are round and attached centrally. Click on each image to see a larger version of the photos below.